The nearest airport is Flagstaff Pulliam Airport (FLG). This is a very small airport with limited daily flights--currently there are regular flights to/from Denver (DEN), Dallas-Forth Worth (DFW) and Phoenix (PHX) airports. The Prescott Regional Airport (PRC) is about 1.5 hours drive away from the Festival site. This is also a very small airport with limited daily flights to/from Los Angeles (LAX) and Denver (DEN). Local taxi and shuttle companies will make trips from Prescott Regional Airport (PRC) to the Festival site. Call Speedy Taxi at (928) 445-0123 and mention "Kadampa Festival" to receive a special rate of $125 for up to six people per trip to the Festival site. For more information on other taxi services visit Anytime Taxi, Yellow Cab Taxi or Tour Prescott. The price for these companies range between $150-$200 per trip. The Sky Harbor International Airport (PHX) in Phoenix is 2.5 hours drive away from the Festival site. Festival coaches can be booked from Sky Harbor International Airport (PHX) to the Festival site. The price is $50 each way per person. You may wish to check the prices into Phoenix, Prescott and Flagstaff as there are good prices available, but for international travelers, flights into these airports may be more costly. You may wish to look into flights into McCarran International Airport (LAS) in Las Vegas, NV or Los Angeles International Airport (LAX) in Los Angeles, CA. Las Vegas is a 3.5-4 hour drive to the Festival site. Festival coaches can be booked from McCarran International Airport (LAS) to the Festival site. The price is $70 each way per person. Please note, all airport shuttles are subject to demand. If there is insufficient demand for a bus at a particular time, we will notify you in writing. Los Angeles is a 6.5-7 hour drive to the Festival site. This is a good option if you are renting your own vehicle. 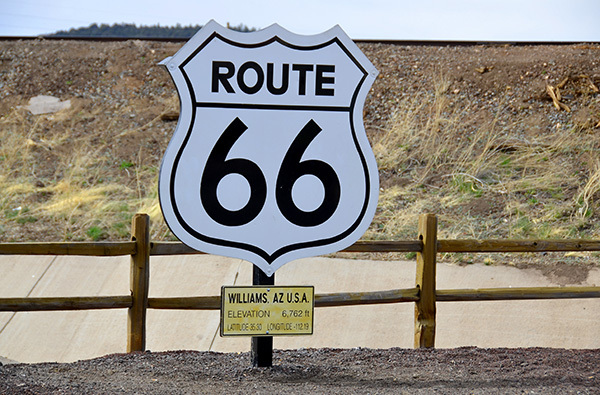 Greyhound Bus service is also available from Los Angeles to Flagstaff (connect from the airport to Greyhound station by using LA Metro public transportation or through a ride-sharing service), but this service will take about 12 hours with multiple stops. The Festival site is in a remote location off of I-40. Due to the nature of the Festival site, limited onsite parking is available for those attending the entire event. Priority will be given to those who are staying onsite and those who require accessible parking. This can be booked for $8 per day per vehicle. Offsite parking with shuttle service is available at the Circle Pines KOA. This can be booked for $3 per car per day + $7 per person for shuttle service (round trip only, additional trips must be paid for separately). There will not be other parking near the Festival site. Because the site is located along the interstate, parking along the road anywhere near the site will result in police involvement and parking fines. Shuttles will run in the morning and evening to and from the official Festival hotels in Flagstaff. When you book a hotel through the Festival registration, you will be able to book a shuttle directly to/from your hotel. Cost is $12 per person per day. For those staying in Flagstaff, but not at one of the Festival hotels, you can now book for shuttle service from Flagstaff to the Festival site. You will be able to book to be picked up and dropped off at the Baymont (Westside), Holiday Inn Express (Eastside) or the Days Inn West Route 66 (Downtown). Cost is $12 per person per day (round trip only). Shuttles will run in the morning and evening to and from Circle Pines KOA Campground. Cost is $7 per person per day. Shuttles will also run to and from Williams in the morning and evening. Cost is $8 per person per day. Each afternoon, shuttles will run to and from Williams and downtown Flagstaff to allow people to have lunch off-site or explore the area. Please note, all daily shuttles are subject to demand.